No matter how much I long for the crispy cool days of Autumn, I go to school in New Orleans where the seasons are “Hot” and “Not Hot.” Right now the season is “Uncomfortably Hot” and Mother Nature shows no signs of simmering down. But as every savvy caffeine addict knows, just because it’s hot out doesn’t mean you have to forgo your morning coffee because it will only make you sweat more. Au contraire! Iced coffee is the answer to all your problems. But, not just any iced coffee will do. A true coffee snob knows that simply sticking a hot pot of coffee in the fridge for a few hours won’t do the trick. It becomes murky and flat. I want my coffee to bite me in the pants! Of course, brewing a double-strength pot and pouring it over ice is a useful method, but what do you do if you want to avoid a bitter taste and using electricity at the same time? Down here, Louisiana ladies and gents have been making cold-brewed iced coffee before y’all’s parents were even born. It’s low-tech and spectacularly green – no coffee maker or hot water required! Just coffee, water, and a few cubes of ice. Plus, cold-brewed iced coffee is less acidic and even has flavor hints of caramel and chocolate. No sugar necessary! Of course, coffee itself isn’t the greenest beverage. It cannot be grown in the US, so it has a huge carbon footprint because it’s imported from exotic places like Guatemala and Indonesia. Try to buy fair trade, organic, shade-grown coffee to make a difference. And give this easy iced coffee technique a try. Suzannah is studying International Development, Environmental Studies, and Humidity Studies at Tulane University in New Orleans. She can’t function in the mornings without coffee and her Aunt Judy thinks that decaffeinated coffee is morally wrong. 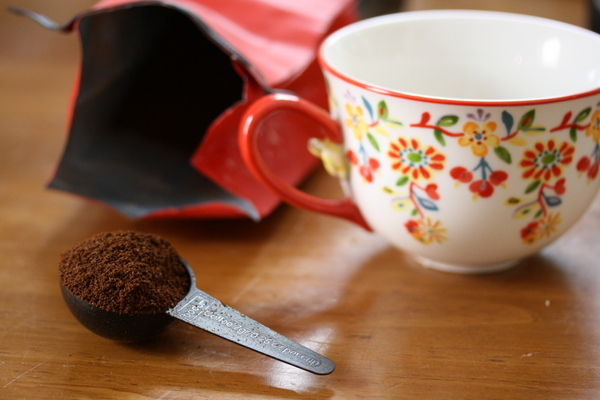 In a jar or another sort of container with a tight lid, stir together coffee with 1/2 cups water. Cover and let sit overnight, or around 12 hours. Strain twice through a fine-mesh sieve. Pour coffee concentrate over ice and add water if necessary. Categories: Featured, Green Living, and Recipes. Cooking Method: Make Ahead and No Cook. I Don't Have Any: Cooking Skill, Kitchen Access, Money, Pantry Items, and Space. I Don't Eat: Any Animal Products, Carbs, Dairy, Fat, Gluten, and Meat. Hi there! I couldn’t agree more with this blog! You might be interested in checking out my product, Korala Java Eco Bags for Your Iced Brew. I just recently started making and selling them in my Etsy shop. My bags are based upon the same cold-brewing method that you describe, except I feel that the bag makes the straining process just a little easier! And being here in Austin, I totally get the NEED for iced coffee! Hi, yes this post is really pleasant and I have learned lot of things from it on the topic of blogging. Ηowdу just wanted to giѵe you a quick heads up. The words in your post seem to be running off the screen in Opera. post to let you know. The ѕtyle and design look great though!